This poorly TSL100 came to us with some quite worn valves. After replacing all the valves and some quite extensive testing it turned out it was suffering from a common thermal bias drift issue that some of these amps experience. 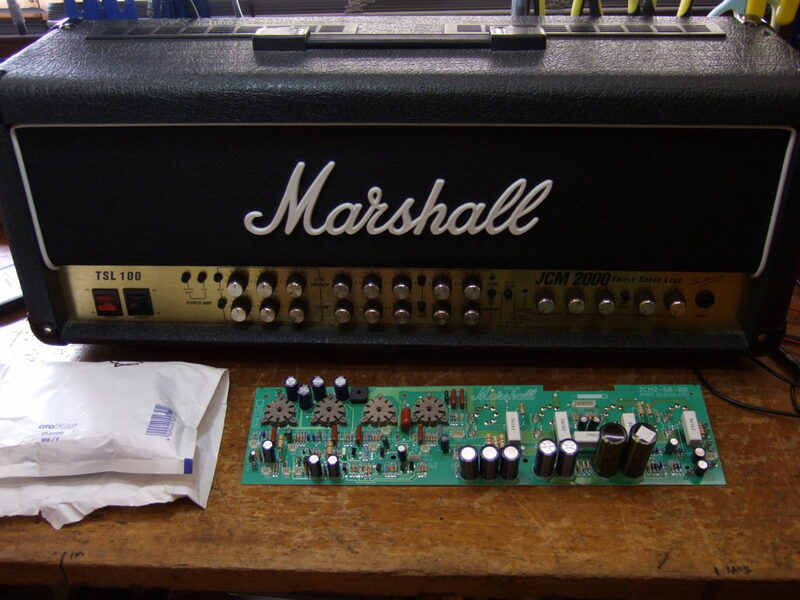 After replacing the main board (seen here in the picture) it is working well and sounding good with no bias issues. We can usually replace the board (including the board itself) for just over the retail price of a new one.